By almost anyone’s reckoning confession of sin, often expressed as a request for forgiveness, should be a regular part of prayer. Jesus included it in his model for prayer. There are several psalms that are songs of confession. The ancient Church developed a special type of priestly visitation dedicated to confession. The historic English Prayer Books include confession in every prayer service. The famous “ACTS” acrostic for prayer includes confession (“C” is not for “cookie," but “confession”). So, why does confession appear so prominently in Christian prayers? What can we learn about how to incorporate confession into our prayers from the biblical and historic examples we have? 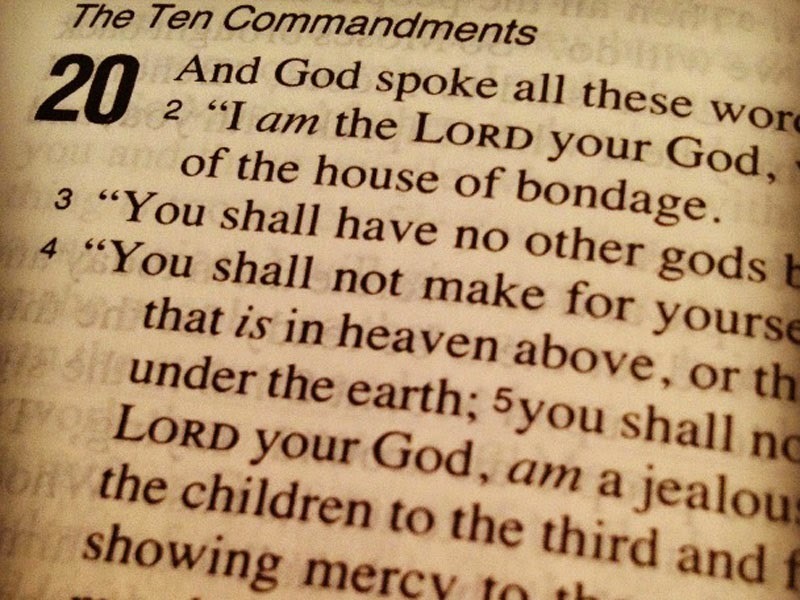 1) We’re acknowledging a particular thought, word, or deed as contrary to God’s character, will, and commands. 2) We’re resolving to turn away from that sin forever (this is called repentance). 3) We’re asking God to forgive us, not because of any action we do to 'regain' his good graces, but only according to his promises made through Jesus Christ (1 John 1:9-2:2). 1) Acknowledging sin: “Most merciful God, we confess that we have sinned against you, in thought, word, and deed, by what we have done and by what we have left undone. We have not loved you with our whole heart, we have not loved our neighbor as ourself…” God’s commands are summed up here in “Loving God” and “Loving our neighbor.” All of God’s commands are given for human flourishing and God’s glory. Sin, therefore, brings death and takes away life. Sin diminishes human flourishing, and it is an attack on God's glory, on Goodness Himself. When we are acknowledging our sin before God, we will not be able to name all our sins (Indeed, God doesn't reveal all our sins to us at once... or we might despair). But it is common practice to have a period of silence before beginning this prayer in order for each person praying it stop and consider the previous day(s), in order to confess specific sins to the Lord. It is VERY important that our standard for sin be nothing but the Word of God, the Bible. Often, tender consciences will want to confess things that the Bible does not call sin. And just as often, hard hearts will refuse to acknowledge as sin those thoughts, words, and actions which God clearly condemns. For the hard heart, the objective commands of God expressed give a guide for confession. God’s law acts like a chisel to break the stony heart. For tender consciences, the law of God is truth that gives freedom. It is also very important in acknowledging sin before God (and others, we’ll get to that in a moment), that we recognize our sins of omission and sins of commission. We sin by actively breaking God’s commands (commission) and/or by passively disobeying (omission). Thus, not helping an old lady across the street can be as much a sin as beating her and taking her purse. 2) Repenting: “...We are truly sorry and we humbly repent… that we may delight in your will and walk in your ways to the glory of your Name.” We see here that repentance involves turning from sin, and turning to obedience. Here, we can do no more than to resolve before God to discontinue our sin, but living out repentance will require God’s help. True repentance, that is truly turning from a sin and turning to obedience, is a gift of God. That’s why we pray for repentance. We resolve to do it, and we ask God for help to do so. If sin gives us cancer of the soul like smoking gives us cancer in the body, then repentance is like quitting smoking. Easier said than done, but it is never done without first being said, that is, without first being resolved. And it is insanity to acknowledge to God that sin is killing us and offending God, and yet have no intention of turning from it. Like cancer patients smoking on the curb of the hospital, we are only fooling ourselves if we confess and yet do not repent. Confession and asking forgiveness without repentance is just disingenuous. In fact, those whose lives are not characterized by repentance are not Christians. Everyone is a sinner, but only Christians are repentant sinners. 3) Ask forgiveness: “...For the sake of your Son Jesus Christ, have mercy on us and forgive us…” All sin is against God. Some sins are directly against Him (whenever we break Commandments 1-4), but even sins that are not “directly” against God (e.g. murder or unrighteous anger, or sexual immorality) are against God. We may sin against our fellow man, against ourselves (1 Cor 6:8) or against creation itself (Rev 11:18), but all those sins are really against God because God owns all things, whether it is your neighbor, yourself, or anything else in creation. Indeed, all of our sins are chiefly against God and then secondarily against others. Thus David says in his classic prayer of confession: "Against you, you only, have I sinned and done what is evil in your sight, so that you are proved right when you speak and justified when you judge" (Psalms 51:4). Because all sin is against God, we ask for his forgiveness. If all sins are not against God, it makes no sense to confess them to Him. We only ask forgiveness of those we have offended. The great (and frankly almost unbelievable promise of God) is that when we confess, we will forgiven. God desires NOT the death of sinners, but that they repent: "As I live, declares the Lord GOD, I have no pleasure in the death of the wicked, but that the wicked turn from his way and live; turn back, turn back from your evil ways, for why will you die?..." (Ezekiel 33:11) "My little children, I am writing these things to you so that you may not sin. But if anyone does sin, we have an advocate with the Father, Jesus Christ the righteous. He is the propitiation for our sins, and not for ours only but also for the sins of the whole world." (1 John 2:1–2) "The saying is trustworthy and deserving of full acceptance, that Christ Jesus came into the world to save sinners, of whom I am the foremost." (1 Timothy 1:15) I pray that God would grant you the faith to believe you're forgiven, not because you "feel" forgiven but because God says it is so in his word, for those who lean on Christ's mercy. When we sin against our fellow man, it is imperative we confess our sins to those whom we have offended and ask their forgiveness as well. Indeed, we are commanded in Scripture to confess our sins to one another (James 5:16): this includes not only sins against each other but sins against God. 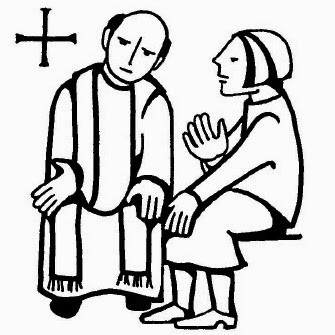 If you’ve never met with a faithful priest for the Rite of Confession (a.k.a. 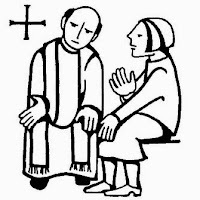 the Rite of Reconciliation of a Penitent), let me recommend you give your pastor or priest a call. If I’m your priest, let me tell you this: nothing, nothing at all surprises or shocks me anymore. Most pastors have had every kind of sin confessed to them in God’s name, and I'm not exception. It brings great freedom to confess and hear the good news of forgiveness from the lips of a faithful man of God. - Do I confess my sins to God regularly? - Do I confess my sins to a mature brother or sister in Christ regularly? - Am I making God’s Word my standard for confession? or my own personal proclivities? - Do I confess my sins only when I get 'caught'? - Do I see my sin as primarily against God and his glory and goodness? - Do I need to ask forgiveness from a friend, family member, or neighbor for sinning against them?